Incidents can be prevented through planning, training, detailed project execution strategies and a cooperative effort. It is imperative that we work collaboratively as a team and that we are proactive in our efforts to avoid injury, occupational illness and damage to the environment. 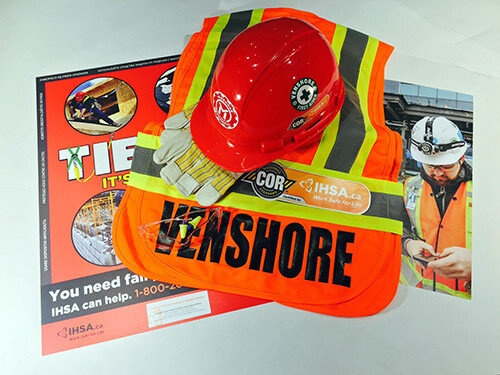 Safety is everyone’s responsibility and every worker must protect his/her own health and safety by following the law, and the company’s safe work practices and procedures. Our joint commitment to safety will reduce the likelihood of accidents in our industry. By following these procedures we can ensure each project success and improves our competitive position. This policy is built upon the principle that “ZERO HARM” is achievable and that health and safety are part of the effective management of our business and will be integrated into all aspects of our operations and will be reviewed annually. We expect all persons associated with our projects to comply with the intent of this Safety Policy Statement. This allows Venshore Mechanical Ltd. continually strive toward industry-wide recognition as the most respect provider of construction services in the markets we serve.